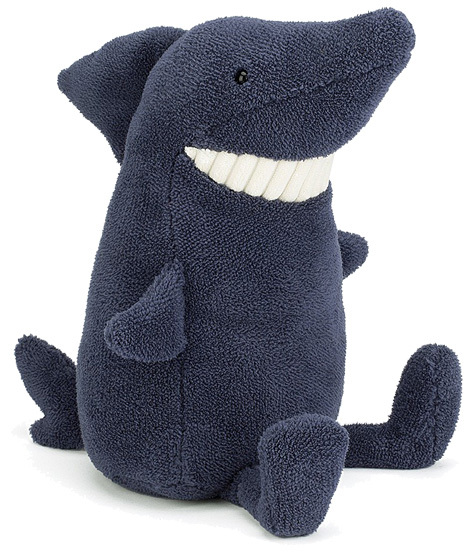 Jellycat proudly say that they are "the world's most sophisticated soft toys". Considered by some to be a lifestyle company, Jellycat was formed in 1999 in London where all the exciting products are designed. The extremely high quality soft items have worldwide distribution and are sold in toy shops, children's boutiques and book shops as well as design shops and museums. As a design-led company, Jellycat are aware of rapidly changing fashion and trends - and their on-going process of product development means that hundreds of innovative, new or refreshed designs are introduced every year. The materials that Jellycat use are sumptuous and soft - and are manufactured to pass all European and American safety standards. The adorable animal characters include mice, dogs, bunnies, sheep, chickens and ducks plus a great selection of favourite wild animals. More than just traditional soft toys, the Jellycat items all have charm, wonderful expressions and above all superb design qualities that set them above almost all others. The Jellycat brand has been extended to cover other items such as purses, pencil cases, bags, wallets and even kitchen mitts and tea towels. For the little ones there are some superb first books, soothers, bibs, hats and sleep suits. A teddy bear & soft toy shop selling quality brands. Stocks every Jellycat, Little Jellycat and Catseye London design. A wide variety of products including wooden toys, soft toys and jigsaw puzzles. Online sales of quality wooden toys by Hape, Bajo and Tegu plus Melissa & Doug.